The SoelCat 12 is a trailblazing energy autonomous solar electric catamaran. It brings true eco-tourism to waterbound resorts, lagoons, nature reserves and reefs. During downtime, the SoelCat 12 can utilise its solar array to feed your AC grid. Just plug it in – as simple as that. No sunshine or nightly cruises? The 120kWh lithium battery systems supply all the energy needed. The SoelCat 12 solar electric catamaran is integrally designed for electric propulsion right from the first lines drawing to the matched propeller. Every aspect of this vessel contributes towards its highly efficient solar electric sailing. 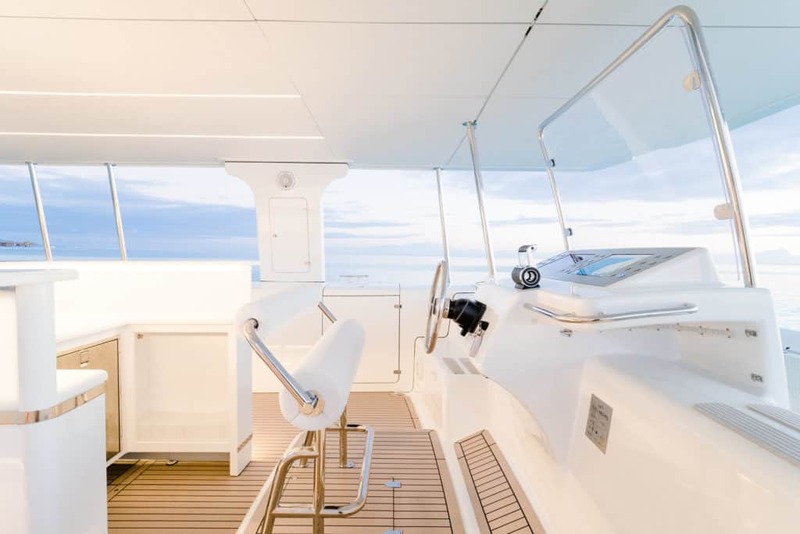 The lightweight yet tough and durable fiberglass construction, the large solar roof and the super slender hulls are the major key factors for the solar vessel’s high performance when it comes to speed and range. The electric catamaran can even be used as a mobile AC power station with 15kVA of AC inverter power. With both the Okeanos Foundation and Soel Yachts sharing a vision of sustainable sea transport and striving for a healthier planet and oceans, we are honoured that our partner the Okeanos Foundation has funded and supported the development of the SoelCat 12 as an example of Okeanos’ commitment to sustainable sea transportion innovation. 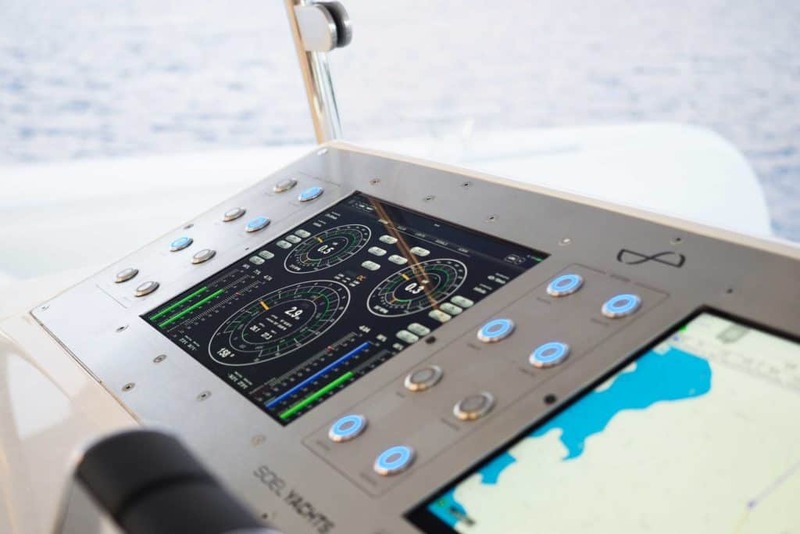 The first SoelCat 12, named the ‘Okeanos Pearl’ is the first energy autonomous vessel for the ecotourism industry and will pave the way for more sustainable coastal water vessels in many different sectors. 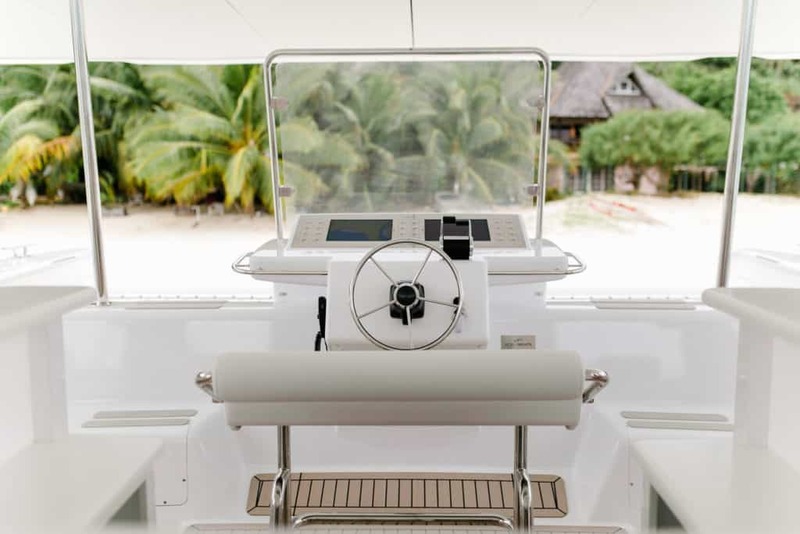 The Bora Bora Pearl Beach Resort is proving a pioneering spirit by operating the Okeanos Pearl solar catamaran. 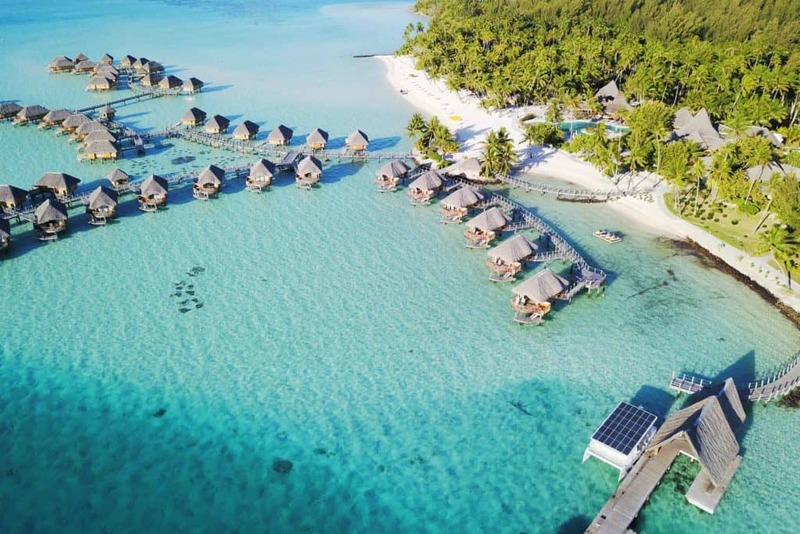 As the first resort worldwide, they are offering truly sustainable, noise and emission-free tours in the pristine lagoon of Bora Bora. 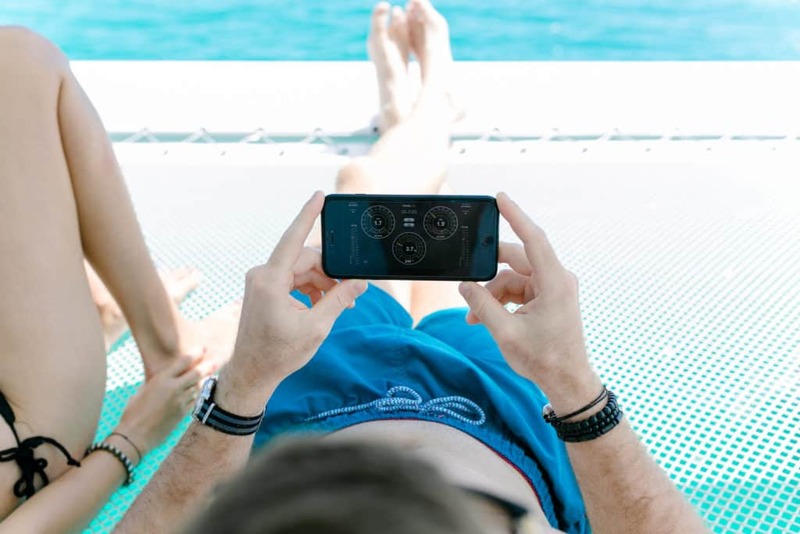 The deck space of the solar electric boat is fully customizable and can host a variety of seating arrangements and layouts. 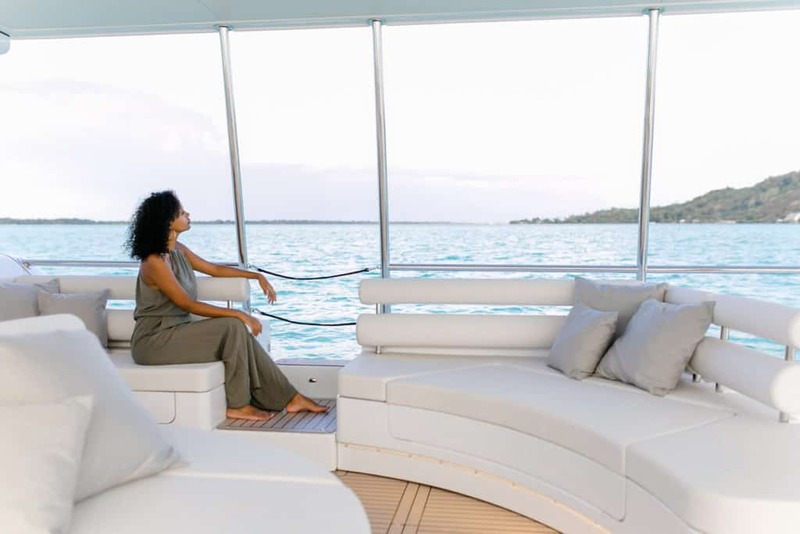 Choose classic yacht fittings, luxurious and comfortable. Or practical and economical deck wear for water taxi services, eco-tourism and water-bound resorts. We can provide a simple bench setup for shuttle services or a fully equipped bar with matching lounge furniture for resorts or private owners and guests. Dayhead in the port side hull is available on request. 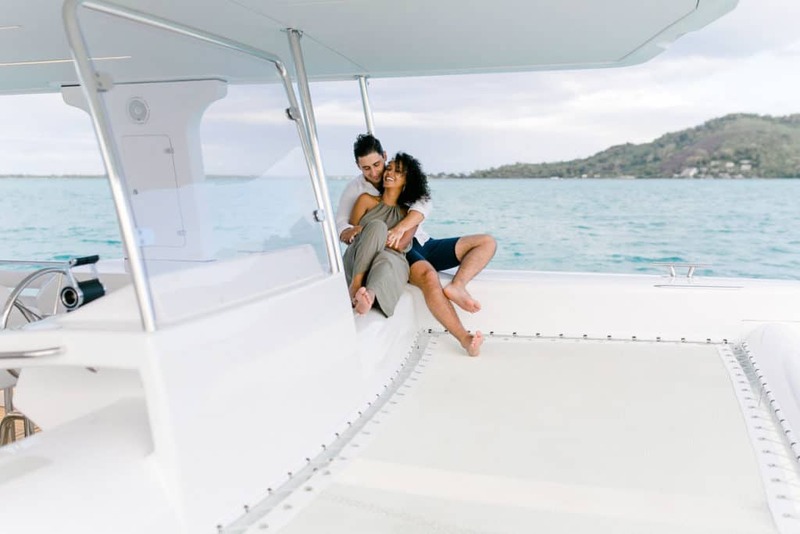 The solar electric catamaran can be equipped with roll down screens on every side of the boat. 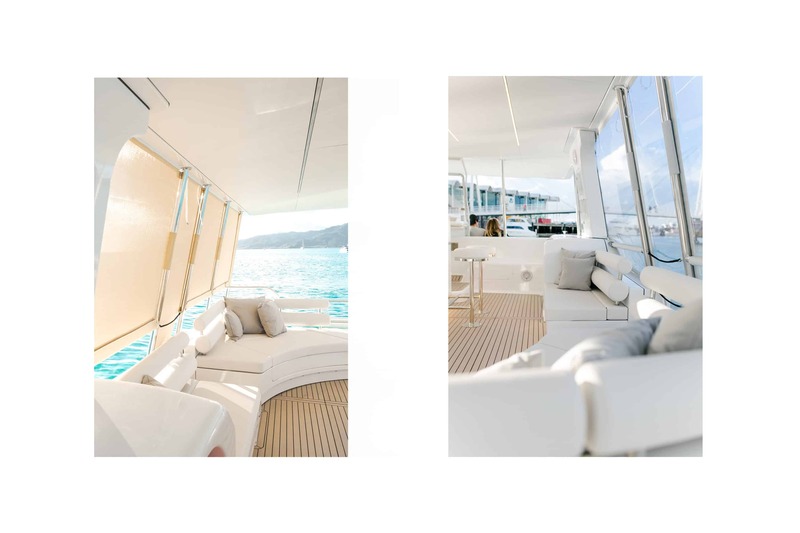 The removable screens will allow you and your guests to enjoy the openness of the boat on sunny days and be fully protected and prepaired in case of rain showers. Additionally, the SoelCat 12 can be delivered with removable sun protection screens for hot days. 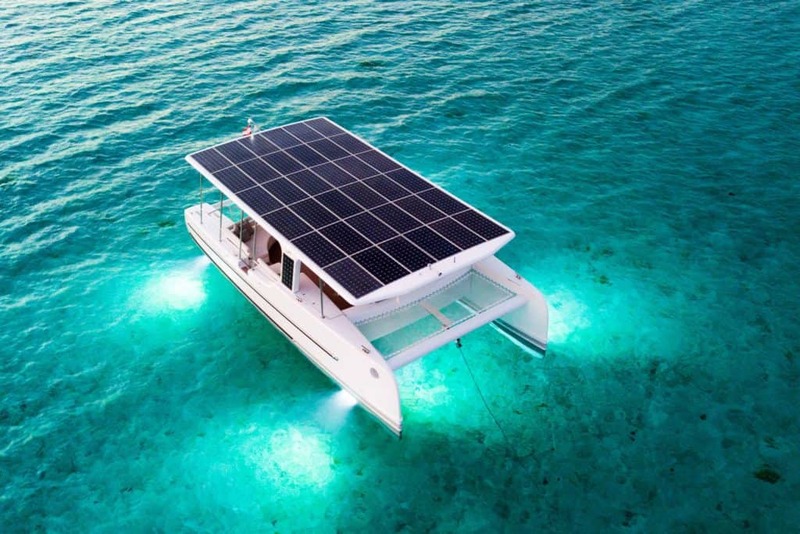 The solar electric catamaran SoelCat 12 requires no fuel, ever. Commercially use of the SoelCat 12 can save up to 142 tons of CO2 annually in comparison to a conventional propelled vessel with 200-liter-per-day fuel consumption. When the SoelCat 12 is not in use for electric sailing, your AC power bill is greatly reduced by the vessel’s 8.6kWp solar array. 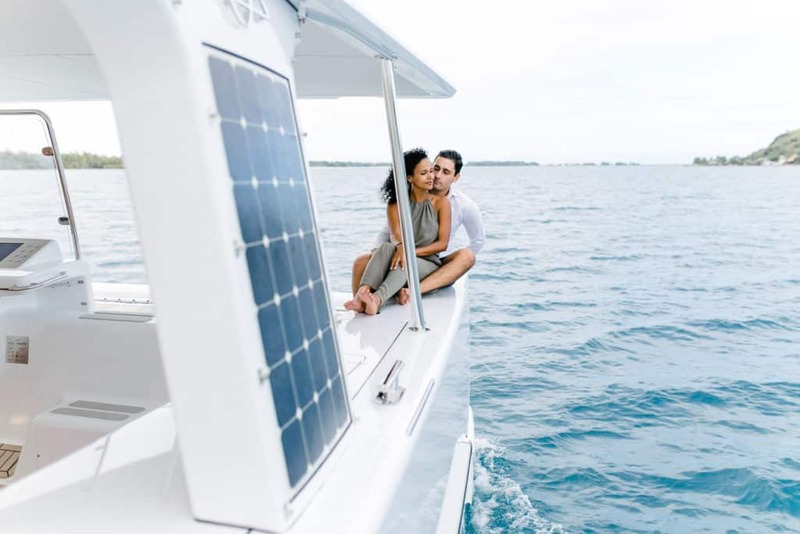 The solar electric catamaran then becomes a mobile power station, which is able to feed back into the grid or provide power where no grid is available. The SoelCat 12 is demountable and fits into two 40ft high cube containers. Such compact dimensions means the electric catamaran is easily transported at affordable rates all over the world. Neither lamination processes or specialized tools are required for the SoelCat 12’s assembly on location.